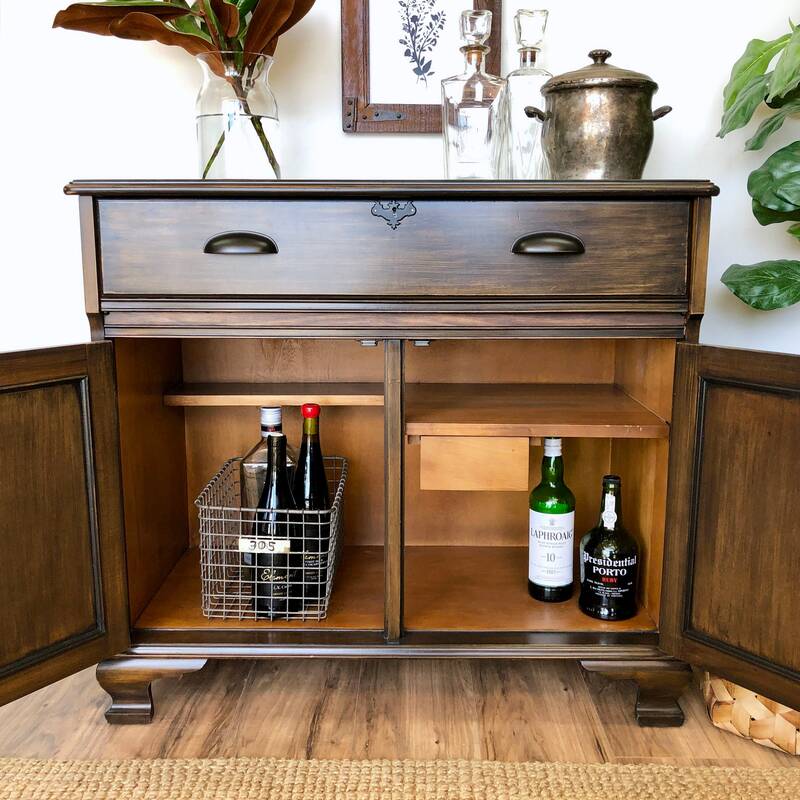 Traditional style and functionality combine to create this two-door bar cabinet with liquor storage for your bar items. 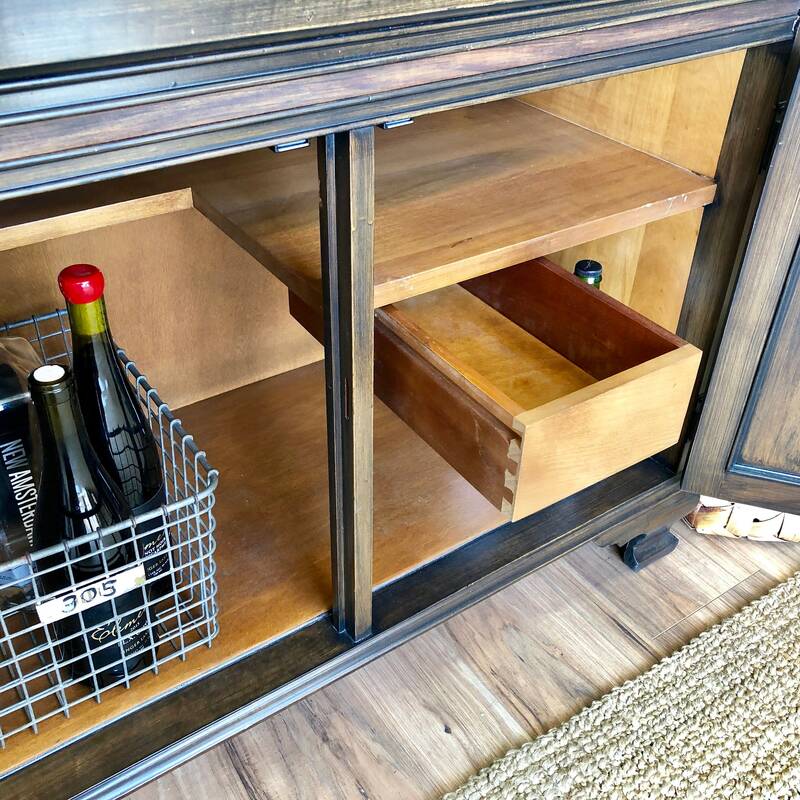 It provides ample room for glasses, bottles, and barware. 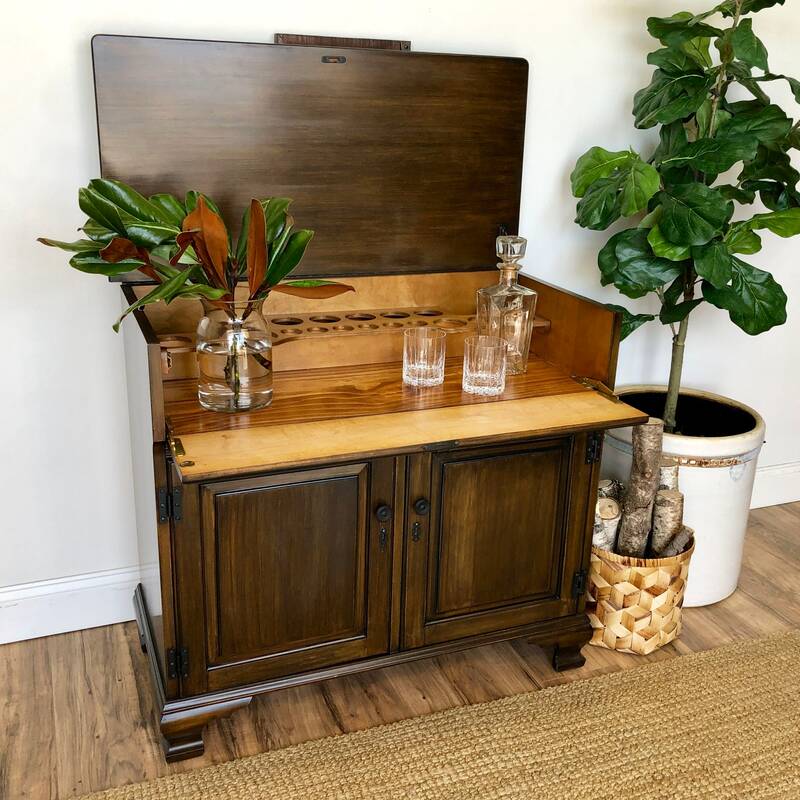 Constructed of solid maple wood and veneer, with old fashioned craftsmanship, this piece was built with style and design in mind. 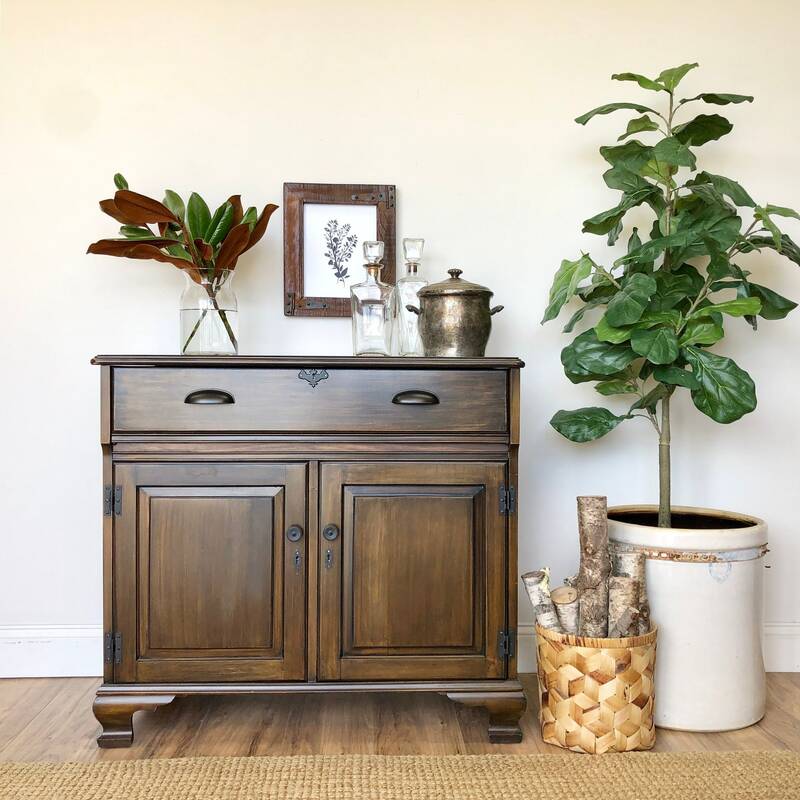 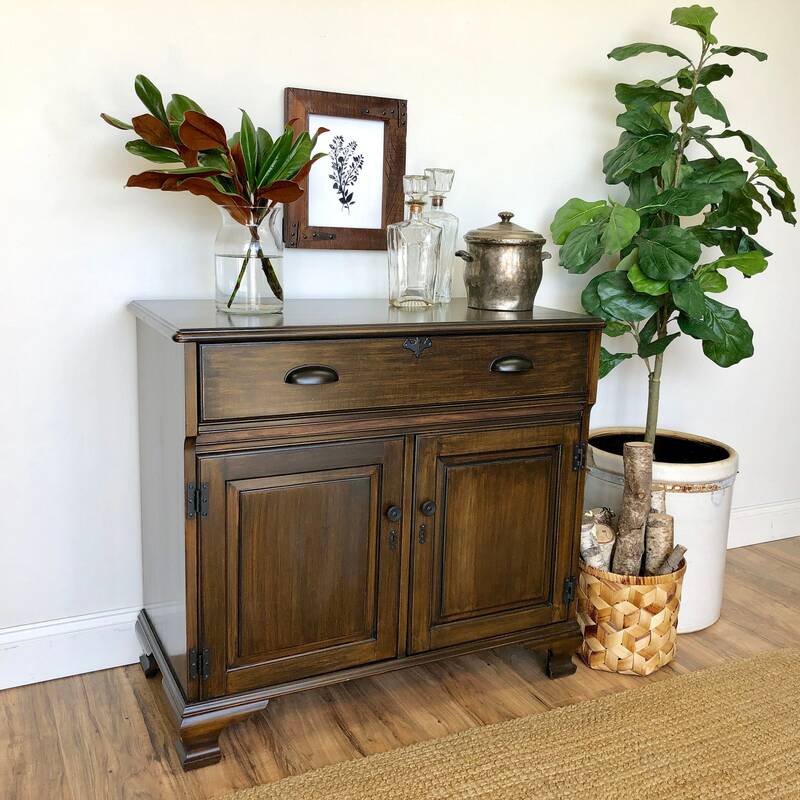 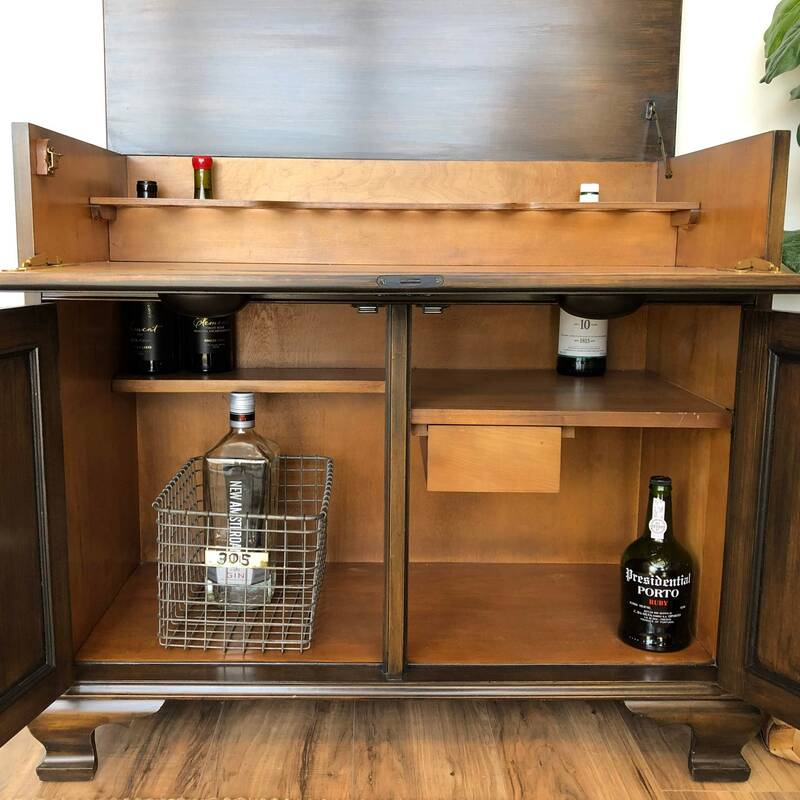 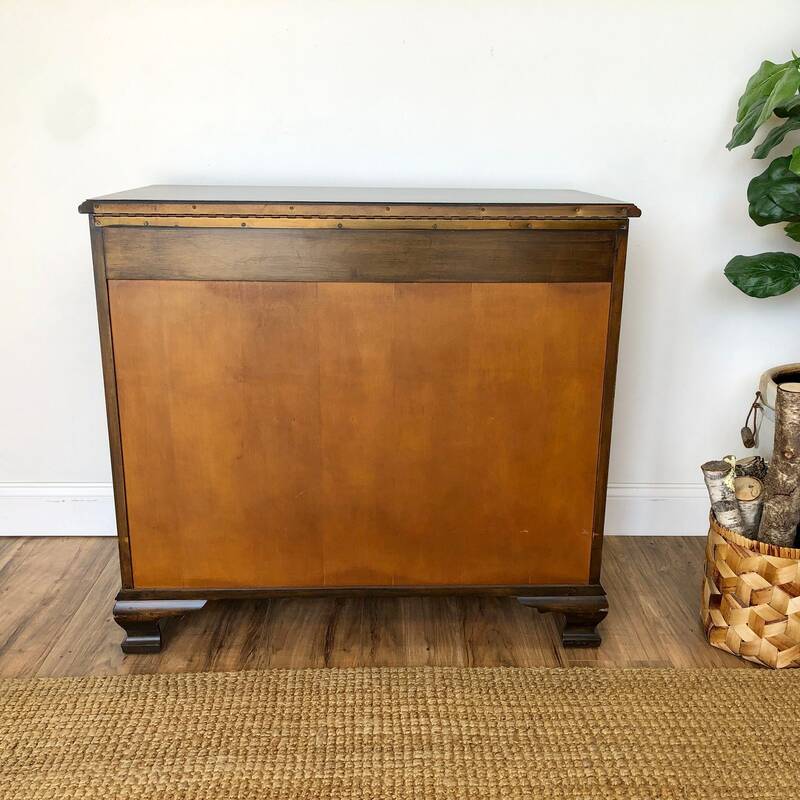 A vintage bar cart of which the top lifts up and the front "drawer" flips down to reveal an area where drinks can be poured or mixed while serving your guests. 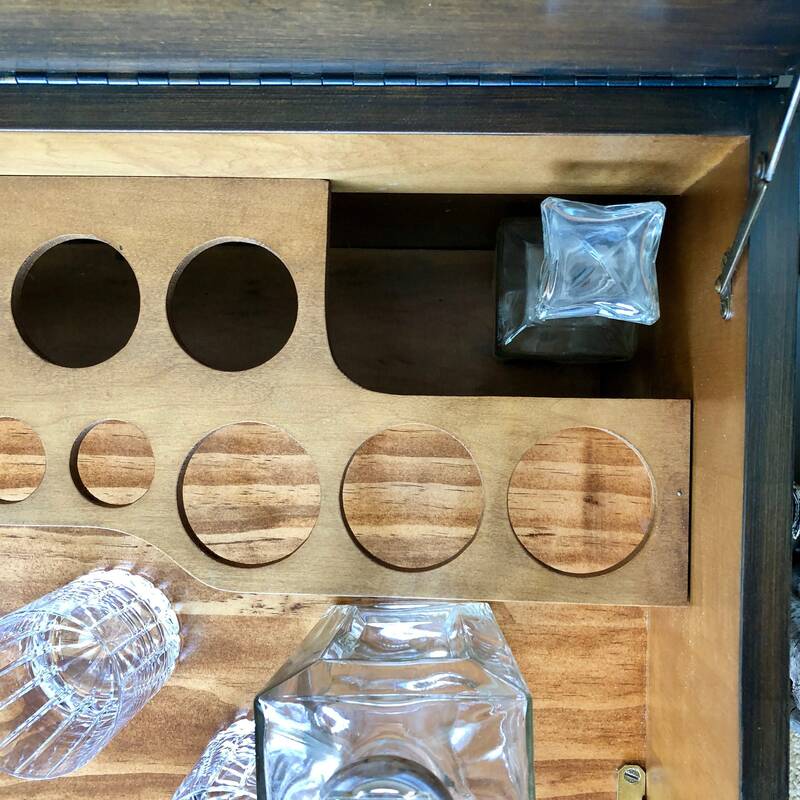 It also features a small drawer on the inside for storing bar tools. 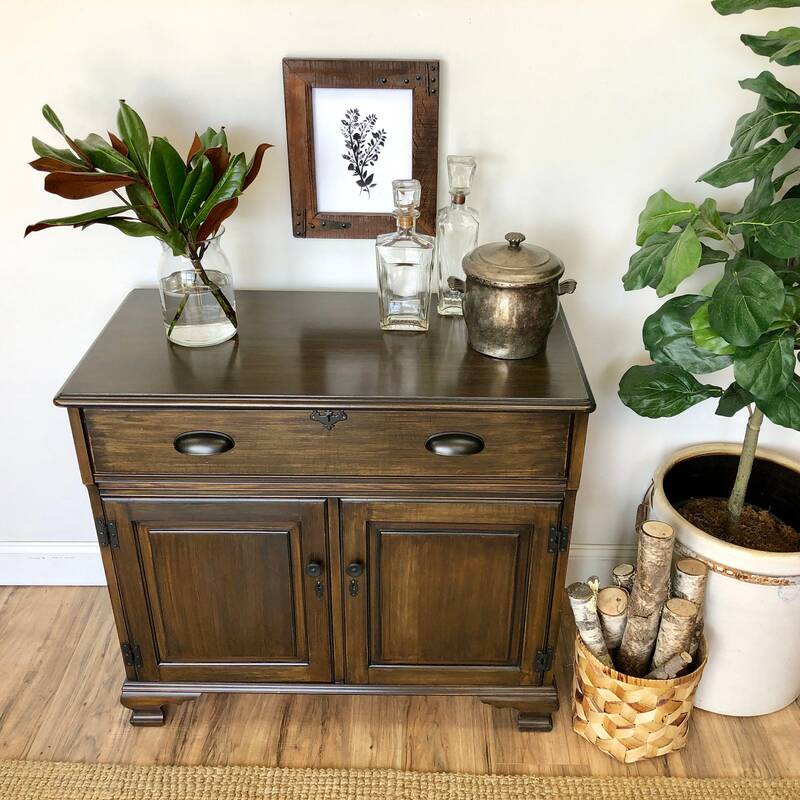 Refinished in black furniture paint and distressed; the hardware has been updated to bring the style to the current era. 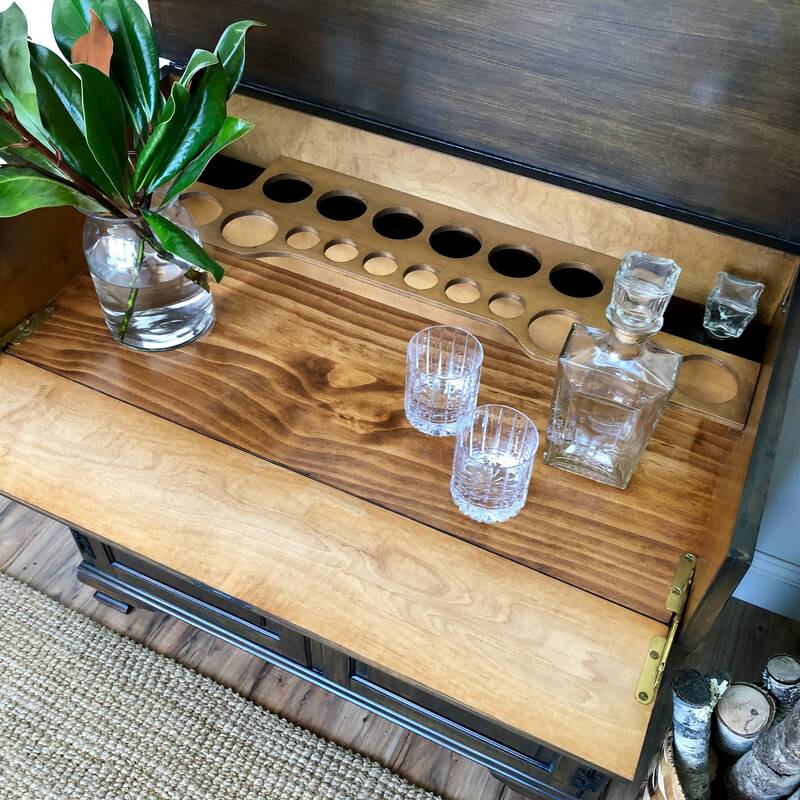 It has holes in the bottom where castor wheels can fit in if you choose to use it as a bar cart that can move around.